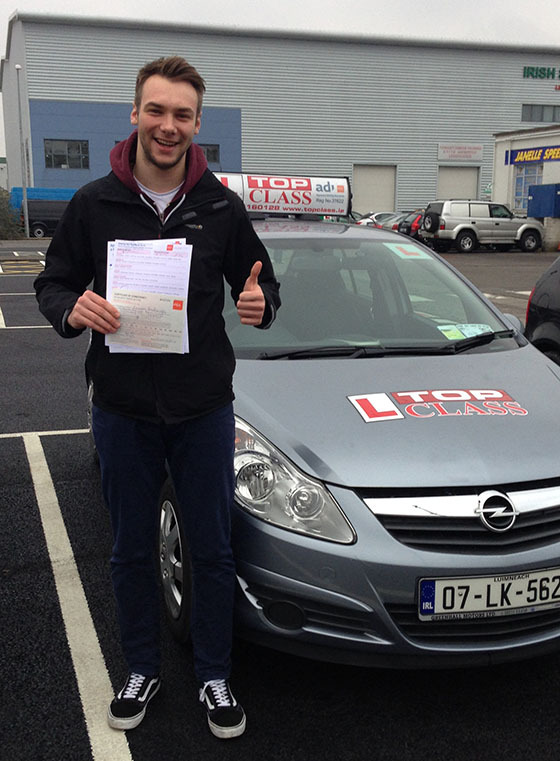 Areas Topclass Driving School cover are Dublin city and county as well as surrounding areas. If your area is not listed please get in contact as we do look at other convenient meeting locations. Become a better, safer driver for life by learning with Top Class Driving School. Whatever your driving experience you can be assured of gaining more confidence and road awareness due to our quality expert driving tuition by certified driving instructors. If the issue date of your first B category learner permit was on or after 4th April 2011 It is now a legal requirement to complete 12 EDT Stages! All Driving Instructors at Top Class Driving School are RSA ADI registered and approved EDT instructors. Whether you’re a nervous beginner or a mature driver looking for quality driving lessons in Dublin, you’ve now come to the right place. helpful instructor with many years of experience. All of our driving instructors are qualified to the highest standards (ADI Standard) and give quality driving lessons. As certified driving instructors all lessons are delivered by highly trained and patient instructors, ensuring quality driving lessons. Nervous pupils and all learner drivers are welcome. When first learning to drive it can be a very daunting experience and we here at Top Class Driving School understand this, so not only do we teach you how to drive, we make you feel calm and relaxed which helps in the driving experience. Driving lessons are broken down into easy to follow steps to ensure that you as a driver have the confidence and competency, to first and foremost learn to drive and pass your test and secondly to take on any given situation on the road. You can be confident in your Essential Driver Training (EDT) and with following the EDT Syllabus as all Driving Instructors at Top Class Driving School are RSA ADI registered and approved EDT instructors. Driving Tuition covers all of the North City and Co. Dublin and we can take you around either of the test routes in North Dublin. Are you nervous about taking your test? Top Class Driving School provides pre-test driving courses to help alleviate the potential daunting task of taking your driving test.